Early this morning, fog rules. 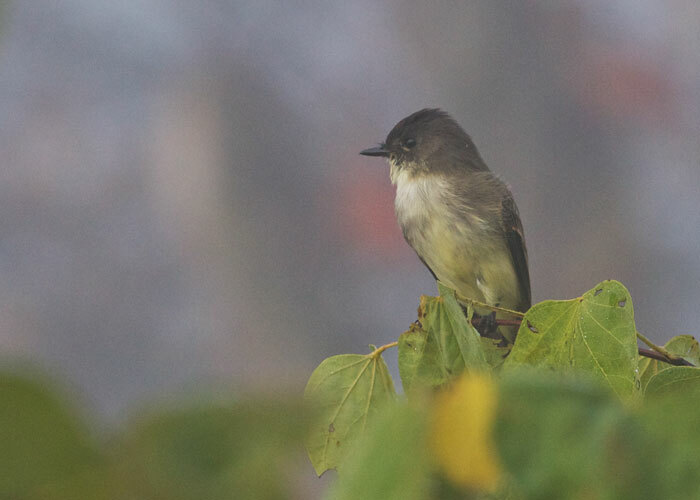 Eastern phoebe studies fog. Perhaps contemplates a journey south. Outstanding optical quality. We were surprised to learn it costs only $35.